An important measure of your financial health. The information in your credit report can impact nearly every financial decision you make: renting an apartment, applying for a loan, even getting hired. And with the growing frequency of identity theft-related crimes, it’s more important than ever to monitor your credit history on a regular basis. Remember, if you disagree with any of the information in your report, you have a right to challenge it. Mill City is proud to offer your free credit report through SavvyMoney, located within Mobile Money or Virtual Branch. This report is made available by collaboration between TransUnion and SavvyMoney. Each time you log in – your credit report updates to reflect the latest information! It’s Easy to Sign Up in the Mobile Money App! In the Mobile Money app you’ll see a “My Credit Score” link at the bottom of your accounts list. Click the link and you can get set up if you are new to the Credit Score feature or.. check your latest score if you are a current user. It’s that easy! 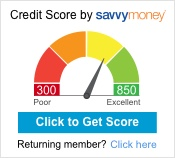 Within Virtual Branch, simply click on the SavvyMoney credit score graphic on the Overview page or go to Self Service, Credit Score to get to the SavvyMoney portal. First time users must input some identifying information and answer some out-of-wallet questions to get signed up. How do I monitor my other reports? Your credit score is a three-digit number generated by a mathematical formula and based on information in your credit report to predict your creditworthiness. Credit scores are one of the primary tools a creditor uses when determining whether to lend money to you, and at what interest rate. Mill City offers all members age 18+ the chance to get your credit report and your score for free and track the score each month. Check your credit score and credit report today. Log in to your Mobile Money app and select “My Credit Score” at the bottom of your accounts list. 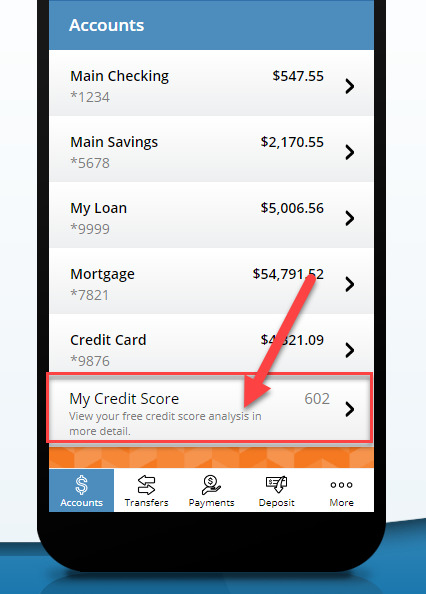 Log in to Virtual Branch and click the Credit Score graphic on the Overview page. Log in to Virtual Branch, go to the Self Service tab, and click “Credit Score”.